Limited Time $3,500 Sign-On Bonus for Teams! The best,respect,not late,take care of job,truck,and customers, they pay the bills. I been driving 38 yrs no accidents or tickets in 22 yrs.Many awards on miles,u wont find to many like mysef. Good pay and possibly the best lease purchase program in the business that I've encountered. As a solo driver they like to leave you out west too much. Overall the company is a good company to work for. The running lanes just aren't what I need. If they were, I'd go back to them. Good miles if you want them, decent equipment, trailers are being re-freshed, open door policy at the terminal. Drivers that don't care, LOUD reefers, lots of Wamart and Tyson so lots of waiting on loading and unloading. Limited drop and hook. Pretty good company as perhaps a stepping stone from Company driver to full on owner. Its kind of hard to fail here as a lease op unless you aren't business minded. 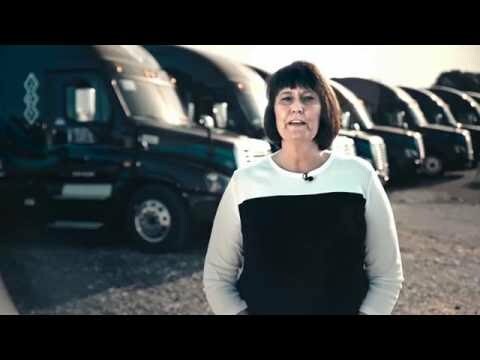 Truck lease designed to be paid off in 5 years running average miles. 0 Balloon. They WILL try to tempt you to upgrade so you keep "renting". It works for some. Truck payments based on mileage driven. So 0 miles a week for me comes out to a -320ish settlement. Even on my worst weeks or weeks after hometime I still have a positive net settlement. My DM leaves me alone for the most part. I can sometimes go a couple weeks without hearing from him directly unless he needs a favor for a swap or if he has something that will work out in my favor. He knows how I like to run and keeps me moving. Over 150K miles in one year as a solo. Some aspects are micromanaged, like the 2 check messages a day, on top of the day before delivery day message to ensure you're on time. Other than that my current "Outbox" messages on my QC are all just check messages, and load pickup and delivery messages. Other drivers here that don't care are the biggest downside. You end up with equipment that is damaged/not road legal, reefers unfueled and unwashed, with reefer issues. And management doesent want to come down too hard on them for some reason. Gets annoying having to make your next stop after trailer pickup be a shop or a washout. Some days are better than others. I used to wave at other drivers, but they never wave back. I found out the drivers are rude to each other. Dispatch over micromanage drivers. This is difficult when you have experience.the send messages too much. I'm disappointed. Someone can correct me on the finer details. Only works if you fuel at PFJ. For the sake of easy numbers let's say you fuel at PFJ for $2.15 and put in 100 gallons. Later on, you will get $15 bucks put on your EFS card so in essence you only paid $2 bucks for the fuel afterall. Another way to say it, it is approximately $0.02 cents more per mile on your rate. 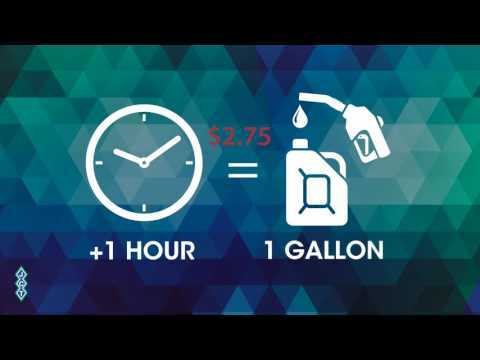 Figure 3300 miles a week divided by 7 miles per gallon equals 471 gallons times $0.15 equals $70 bucks divided by 3300 miles equals $0.02 cents per mile on top of your base rate of $0.90 a mile. For all intents and purposes it is revenue. On time deliveries pay an additional $0.02 cents per mile at the end of the quarter also so in these ways a hustling driver can increase revenue. JCT lease purchase data. Know before you go. Is JCT the absolute best? Of course not. Can you make easy money and not sacrifice personal time in the process? Absolutely. It's a business. Run it as such. Tolls, lumpers, scales, fuel tax, empty miles, pre pass, pike pass, ez pass, reefer fuel, permits, base plates, 2290. Drivers pay for fuel and maintenance on their truck. Q com, insurance are minimal. Now compare EVERYTHING and you'll see that 90¢/mile +fsc for ALL miles isn't such a terrible thing. Median average of about 32 to 35 cpm is what I'm profiting as well. Our discounts for fuel have changed this past year, but for the better I think. With fuel surcharge and rebates for PFJ fuel, I'm seeing a significant difference in lower fuel costs. I don't really like the method for getting the rebates via EFS card, but if it nets me more at the end of the day, I can deal with it. Sorry I know this is out of place. If you are failing at JCT, then I hate to be the bearer of bad news..but you're most likely going to fail at any lease purchase opportunity. Sure JCT's .90cpm could use a bump, but they pay for everything but your truck payment, maintenance, and fuel. Manage your fuel purchases, keep your truck in good condition, and profit. Not rocket science. What's Real, What's Fiction, and What's In It for You. After a little hiatus from these forums and focusing on other video / podcasting projects, I thought I'd make an appearance after ingesting what seemed like gallons of popcorn from what I've seen on these boards since my absence. Started out over 5 years ago obtaining my CDL through Prime running flatbed (Lease). Moved on to a company dedicated opportunity with Schneider about a year later running Toyota parts from Ann Arbor to Chicago daily. When the opportunity there dried up, I had a desire to move to Oklahoma and so joined JCT just over 3 years ago. Been running with them ever since, 1 of those years as team but back running solo now. Not everyone is cut out for this. Lease purchase programs are hard enough, especially for solo drivers. That said, the leasing program is the most forgiving and competitive out there. Run hard and reap the rewards. Go home every other week, and you're going to struggle. A positive, humble attitude is worth its weight in gold. You will by far make more friends in the office if you treat people like a human freaking being and drop the chip on your shoulder. There's no "pressure" but there's a job to do. Major clients that we carry for expect on-time because anything less than 98% on time delivery fleet-wide is unacceptable. Now, this does not mean #### doesn't happen. Breakdowns, weather, and even screwing up on occasion are all factors. As long as you communicate, you'll be fine. There's plenty of us that have completed leases. Some keep their trucks, some don't and pocket the 50k then lease again. It's entirely up to you. I took a brand new truck when I put over a half million on my T660. I was never "forced" to take another truck. I was asked if I wanted to decom the truck three months before I went to the office and made the decision based off the low fuel mileage those 660's got. Teams: You're our backbone out here. We ask a lot of you. I know because I ran team. To keep our high OTD percentage (Which just won us Walmart Refrigerated Carrier of the Year), repowers with solos are common. Most of the time, this is due to emergency hometime, shipper delays during loading, or picking up the slack for other reasons. You will run hard with good loads that run from southern California to Florida and back again during produce season. Along the way, you'll be helping out us solos. I have never had any issues with getting hometime. None. Zero. I send in my requests at LEAST 2 weeks prior and schedule it for the day before I actually want to take hometime. This way, there's leeway for a last minute delivery or giving the swap board a hand with a repower for someone. I take hometime wherever I want, even Las Vegas, Portland, Reno, Florida, or back in Oklahoma. Did I mention keep a good attitude? Even when things go wrong, I sometimes call my DM just to either vent, or hear him tell stories about the crap he had to juggle that day that make me glad I'm not sitting at his desk. Find a DM you're comfortable with, but don't be an ####### about it and march into dispatch demanding satisfaction. You'll be the subject of discussion and nobody will want you. COMMUNICATE!!! For God's sake, people is this so freaking hard? If you're running ahead, communicate. If you're running behind, communicate. If you have questions or are in an area without washout options or preferred fuel stops, communicate. If you need to reroute and need your miles adjusted, COMMUNICATE!!! I know this isn't everything but I'm not going to pluck through the entire boards in some misguided attempt to debunk "Wahh, I got screwed!" arguments. Firstly, because all I have to go by is your biased version, but mostly because you probably wouldn't like my answers. As a successful driver with JCT, I know what it takes and I know the pitfalls some people get into. I can help you through that, so can the people at the office. So if anyone has specific questions, I'll be happy to answer them. - escrow accounts, how much is company banking. - weekly settlement, what is the method used to receive pay. - other than you choosing not to run a load, is there any way you pick your own freight. Variable lease. My fixed costs are about $280 / week plus .17 cpm. Run more, pay more. Run less or take a vacation, at least you're not in the hole a thousand bucks. You have a maintenance account that caps at $5000. You can certainly put more into it if you'd like. There's a performance bond of $1000. Interest rate is like 10% ( if memory serves me) Weekly via direct deposit. Fuel rebates sent to EFS card. Not picking specific freight, no. There's no driver load boards, but when you're in certain areas, it's easy to predict your next load before your preplan gets to you. 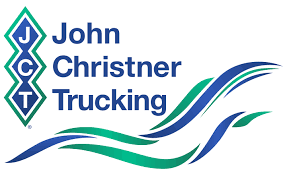 JCT is a refeer outfit as well as a long haul company also. If you like to take weekends off you won't make it here. Not sure if i agree with that statement lol.. Your success has more to do with how well you budget/manage your time and money personally and business wise. 90% of my hometime was on the weekends. I had a fun run for over 8 years there. I left in pursuit of wanting more control and my business. JCT Kept my family and I happy and well fed for a number of years. Q: Hello everyone. 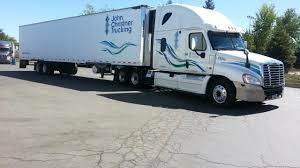 Kinda new to the trucking industry. At 6 months with crash &roll stunt team ie. CRST. Getting ready to jump ship and have been approved for JCT. And seriously thinking about going. What would you guys suggest. Thinks that will make me more cash and make the transition better. I see your spreadsheet and think that is a awesome ideal. What is this modules that you were talking about for orientation with JCT? And and advice you could give would be very appreciated. My co driver and I probably will be there in the next month. Just a few of the many questions. What should I expect the avg. Check to be after all truck expenses? I have talked to a few of the drivers and just don't see how they are making so much at .90 cents a mile? We drive a lot between Co driver and me we been popping the 7000 miles a week and the check with crst just isn't cutting it. A: Modules are just little videos to watch. Some of them are pretty long. Some of them have a little quiz. Often times they will call you around to do some quick little interview or something, or you want to go take a quick break, they say pause or log off your module. Don't do it lol, let it keep playing because when you come back you'd have to start from the beginning again. I tried to open all 20 modules at once and have them play all at once in different tabs, that didn't work then I tried different windows that didn't work either. But what did work is I only had a few more to watch to finish so was able to log on at the hotel and finish them the first night. A: If you watch your fuel you could average 7k miles a week so take home about 2800 I would guess. I'm a solo driver I bring home about 1200 a week. Well that's what Jct deposits then my wife takes that and I get 100 or so lol. I know teams run way harder then me.